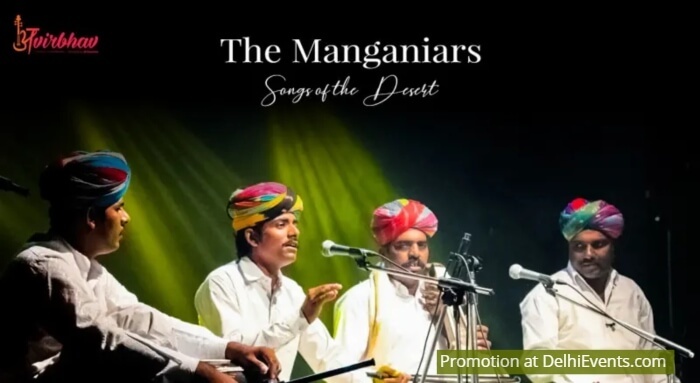 Event Description : Avirbhav brings to its stage, The Manganiars - Songs from the Desert. The musical legacy of the Padamshree Awardee and celebrated Rajasthani folk artist late Sakar Khan is being carried forward by his descendants. This vibrant family of hereditary musicians belongs to the Manganiyar community from Rajasthan. They have performed all over the world with the acclaimed shows, "The Manganiyar Seduction" and "Manganiyar Classroom". On the 30th of March 2019 March, they will light up the Avirbhav Stage with their mesmerizing tunes in a traditional folk set!